Leaked copies of President Donald Trump's daily schedules show he has spent nearly 60% of his working days in the last three months in blocks of "executive time." 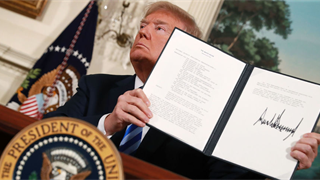 Scheduled alongside other events like briefings with top aides, meetings with world leaders, and running into the press, the unstructured blocks usually take up around 3-5 hours of the president's day. Here's what else is known about the president's schedule. 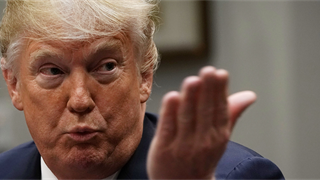 Copies of President Donald Trump's daily schedules that were recently leaked to Axios show he has spent nearly 60% of his working days in the last three months in blocks of "executive time." These unstructured blocks are scheduled at the president's discretion and aren't listed with specific activities, unlike meeting with administration members, hosting world leaders, so there has been immense speculation about their value. Take a look at the daily schedule that also includes Fox News, tweeting time, and built-in breaks from his presidential duties. According to CNN, Trump doesn't drink coffee to wake up. It's not clear whether or not Trump is part of the 1% of the population that appears to actually need less sleep, scientifically speaking. If he is not, Trump is severely sleep deprived, according to health professionals that generally recommend seven to eight hours of sleep. Breakfast isn't often a part of the president's routine, but when he does eat, he said his "favourite would be bacon and eggs — bacon medium and the eggs over-well." Trump told Jesse Watters in 2016, "I will have a lunch, but my big thing is dinner." 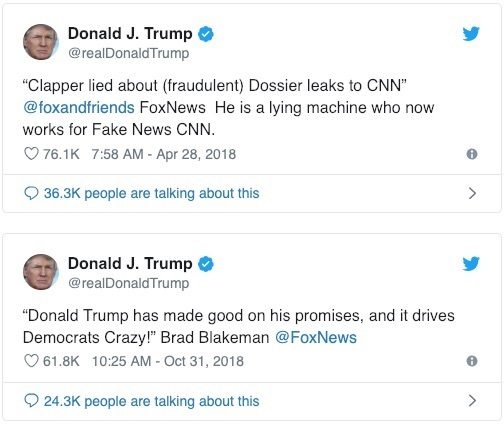 Despite attempts from multiple chiefs of staff to shorten Trump's free time, the president generally spends his morning tweeting while watching Fox News before beginning his day at 11 am. 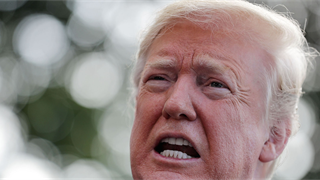 Trump receives a compilation of glowing press coverage, which is reportedly assembled each morning in the Republican National Committee's "war room." Three staffers reportedly begin the work at 6 a.m., at which point they monitor TV, newspapers, and the internet for media on Republicans and opponents. They reportedly send the White House reports every 30 minutes. Trump is then expected to leave the residence for the West Wing, though he skips the overwhelming majority of his daily intelligence briefings. Trump previously broke with tradition by ignoring the written report known as the President’s Daily Brief. Trump reportedly prefers oral briefings. Each day's events and meetings vary, but at least one unspecified schedule block is ever-present for Trump, and it is identified as "executive time." The blocks of time have lasted for as long as two hours and 45 minutes. Trump's executive time does not include official meetings or appearances, and it has drawn concerns, as the unstructured blocks have at least once occupied nine hours of his day. Chief of staff John Kelly reportedly instituted "executive time" after Trump complained that he didn't have enough time to think. Lunches with other officials are common but not daily. 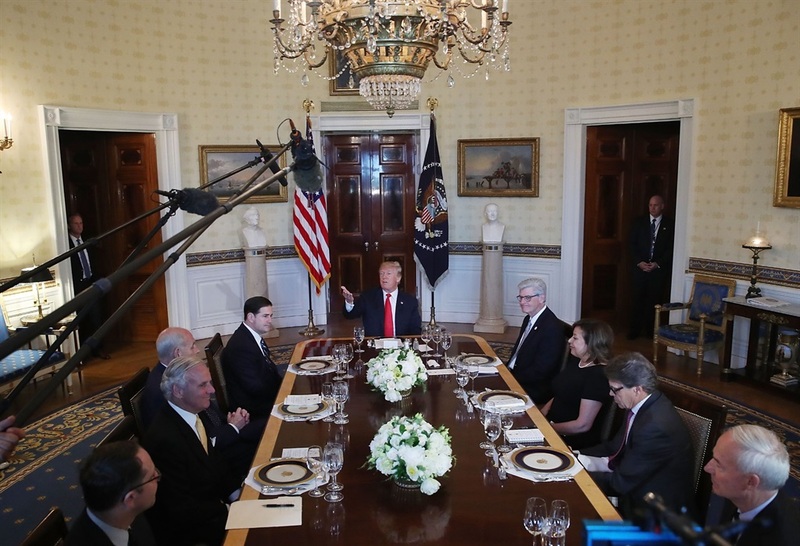 Trump generally has dinner, which often includes guests of the president's choice, in the White House once his day winds down around 6:30 p.m. Unlike the Obamas, Trump has rarely dined out in Washington, being known to eat at only the White House or at the steakhouse at the Trump Hotel. "I can invite anyone for dinner, and they will come," Trump told an old friend after he took office. Matt Drudge, Kid Rock, and Sean Hannity are just a few attendees of Trump's dinners. Trump's favourite choices for dinner include well-done steaks, meatloaf, and Diet Coke. Trump is famously served pie with two scoops of ice cream for dessert, while others are served pie with one scoop. On the weekends, Trump often makes a 40km trip to play golf at his club in Sterling, Virginia. 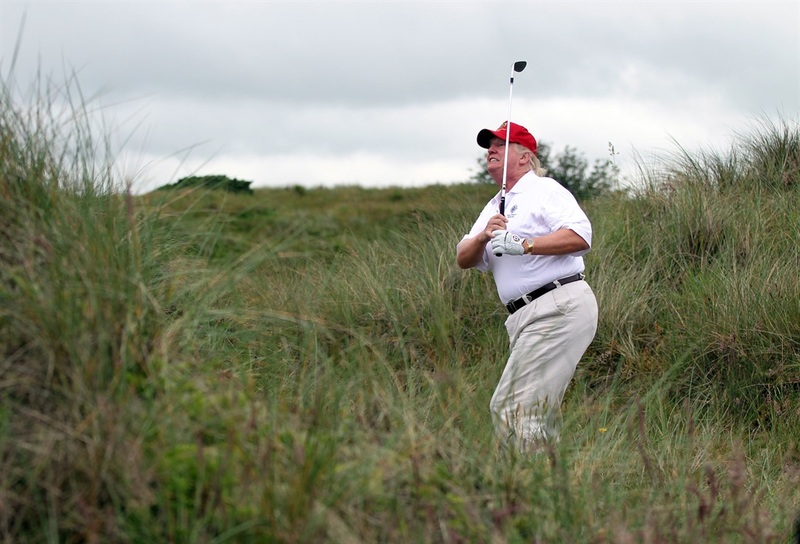 Trump has reportedly visited his golf clubs over 166 times as president. But for longer weekends and holidays, the first family heads to Mar-a-Lago, where he often raises ethics concerns as he mixes business and pleasure. Though staff is usually thinned for his trip south, aides remain on call. Trump traditionally holds a New Year's Eve party at Mar-a-Lago. This year, ticket prices are reportedly R9,000 for dues-paying club members and almost R14,000 for guests.